Minimum purchase required for no interest periods. See store for details. 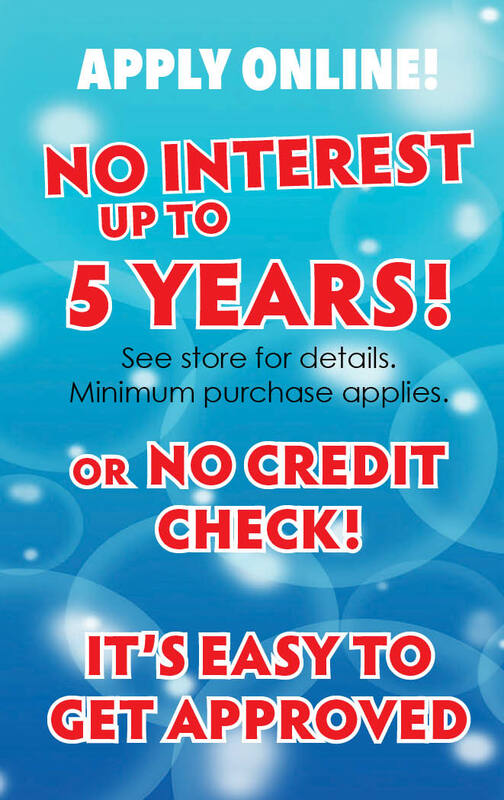 Call us and ask about our No Credit Check accounts with 90 days to pay with no interest.